I read this article and found it very interesting, thought it might be something for you. The article is called 1 In 5 Multidrug-Resistant Patients Do Not Complete Treatment, Imperiling India’s Battle Against TB and is located at https://archive.indiaspend.com/cover-story/1-in-5-multidrug-resistant-patients-do-not-complete-treatment-imperiling-indias-battle-against-tb-51110. 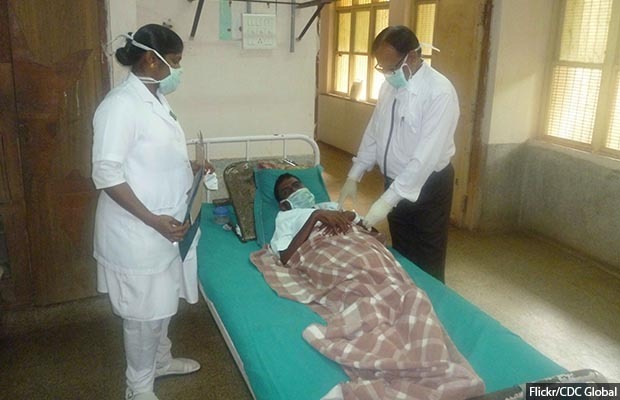 New Delhi: Nearly one in five multidrug-resistant (MDR) tuberculosis (TB) patients put on treatment in the public sector were lost to follow-up (LFU). This means that they either did not start treatment or their treatment was disrupted for more than two months. India has approximately 2.8 million TB patients, a quarter of the world’s total TB cases. Of these 147,000 cases (5.4%) are MDR TB cases–resistant to the first line TB drugs rifampicin and isoniazid. These cases are more difficult and expensive to treat. While the number of TB cases fell from 2015 to 2016, the number of MDR TB cases increased by 13%, IndiaSpend reported in November 2017. Of 24,354 MDR TB patients recorded in the treatment initiation register between 2014 and 2015, 11,446 (47%) were successfully treated of which 7,796 (32%) were cured and 3,563 (14%) completed treatment. Further, 4,873 (20%) died and 4,697 (19%) were lost to follow-up, 562 (2%) failed treatment while 2,863 (12%) were transferred out or switched to XDR (extensively drug resistant) TB regimen, according to the India TB report 2018, released on March 24, 2018. These numbers are from treatment initiation registers and should not be used as an indicator for efficiency of treatment/initiation, the report said. Globally, about 12% of MDR patients were lost to follow-up, according to a 2009 systematic review of literature published in medical journal Lancet. India’s lost to follow-up rate is 7 percentage points greater than the global average. Patients who do not complete treatment for any reason face increased risk of recurrence and TB-related deaths because they are more likely to remain sick. They are also infectious so they can spread the resistant strains through airborne transmission, research showed. While those with drug-sensitive TB are put on six months of a DOTS (Directly Observed Treatment Short Course) regimen, those resistant to multiple drugs are put on ‘Category IV’ drugs. These are advanced TB drugs and have to be taken for two years or longer. Patients have to take six drugs with injections for six months and four drugs everyday for the remaining 18 months. In the course of two years, patients consume approximately 14,600 pills. The side-effects of MDR‐TB drugs include nausea, vomiting, dizziness, lethargy, hearing loss, blurring of vision, kidney impairment, hepatitis, depression, suicidal tendencies and even psychosis. In a 2013 study of factors influencing treatment adherence to antiretroviral therapy (ART) and second-line TB treatment, 12 MDR TB patients with HIV from Mumbai were interviewed. Many of them described the treatment as “as bad as or worse than the illness itself”. They also spoke of the financial and emotional toll the disease took on their families. Instead of the two-year long MDR TB, a shorter nine-month course recommended by the World Health Organization (WHO) in 2016 will be implemented in the country from 2018, said the India TB Report. Mumbai’s Shatabdi Hospital is one of the first centres to roll out the programme, as the Times of India reported on March 29, 2018. Bedaquiline and delamanid, the new TB drugs found after nearly 40 years of research, also offer hope. Currently, the WHO has approved their usage in extensively drug-resistant (XDR) TB patients where no other TB drugs work. Currently, there are clinical trials in several countries, including Indian Council for Medical Research (ICMR) and MSF (not in India), to assess the safety and efficacy of a six-month regimen using these new TB drugs without injectables. If these work, the treatment for MDR TB could become shorter and with fewer side-effects. This will help reduce loss to follow-up, treatment failures and deaths. “However, while the trials will take a few years, we need to at least improve access to new drugs under the current WHO recommendations and also for compassionate use for those who need both new drugs together, as those patients affected with severe drug resistance need better treatment now… they can’t wait for results of trials,” Kalon said. Factors such as migration for work that makes the two-year treatment difficult and acute poverty affect LFU, according to a 2015 study of MDR patients in Vadodara, Gujarat. Having the same healthcare provider throughout the two-year period helps patients continue the treatment, the 2015 Vadodara study showed. “[H]aving the same provider for longer period facilitated the development of rapport and an empathetic provider-patient relationship,” said the authors. This rapport leads to personalised and tailored counselling, improving outcomes. Factors such as self-motivation, awareness about the disease, motivational counselling, family, nutritional and social support play a key role in treatment adherence, found a 2017 study published in the Indian Journal of Tuberculosis. Having a patient support group-led treatment model may improve treatment success rates, the study found. The government has recently announced monthly nutritional support of Rs 500 for all TB patients as well as the use of information technology for monitoring the programme and treatment adherence, IndiaSpend reported in March 2018.